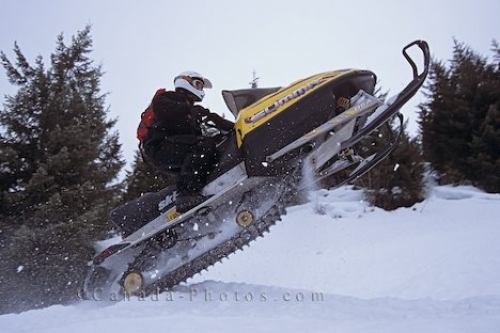 Snowmobile adventures on Whistler Mountain are a popular winter activity in British Columbia, Canada. There are a range of activities available during a visit to the ski resort destination of Whistler, British Columbia, which includes skiing, snowboarding, snowmobiling, snowshoeing and much more. Picture of a snowmobile being put to the test on Whistler Mountain British Columbia, Canada.